Fixed circles are a great option for your home if you are looking to add something different to your home. Designs like these are great alternative if you are looking to have them in inaccessible areas of your home, such as on a staircase and as these are low maintenance, you won’t have to worry about cleaning this. As these add uniqueness to your home, you could potentially add value to your property. 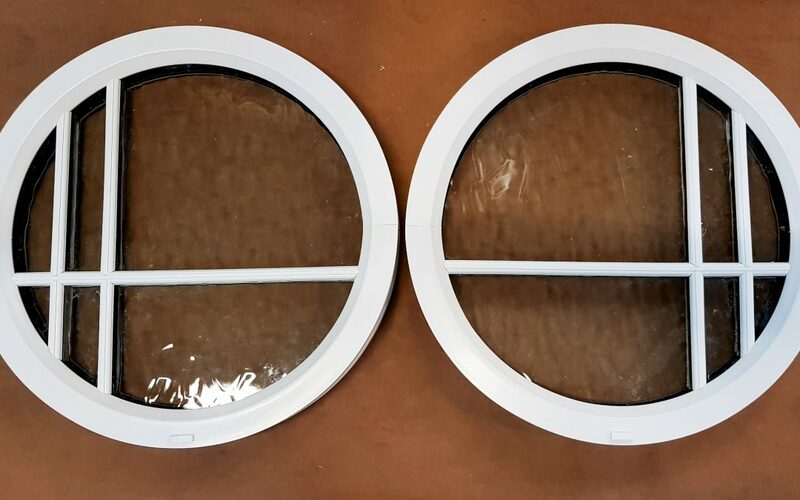 Circular frames are just as energy efficient as standard windows. Force 8 can offer double glazing and triple glazing glazed options to minimise heat loss and heating bills. Force 8 is the UK’s leading manufacturer in profile bending and we possess the engineering expertise of 30 years to create bespoke shaded and arched products. Force 8 can work with you to create a shaped frame for your home. You can choose from circular, arched or octagonal shapes in a range of finishes. As Force 8 is the leading manufacturer and supplier of bespoke arched and shaped PVCu frames, we have been in business for 30 years and possess the engineering expertise to create almost any design and shape. We can construct our arches and shaped products from a single piece of PVCu with the use of steel reinforcements wherever possible. As we are always creating new and innovative ideas, you can expect us to be creating designs that aren’t typically seen on the market. By being able to combine arched elements into our products, Force 8 can add sophistication to the overall aesthetics as well as giving a contemporary feel. We are constantly investing in new ways to manufacturer our products, enabling us produce more complex designs. Don’t hesitate to contact us to see how we can manufacture a shaped product for you.